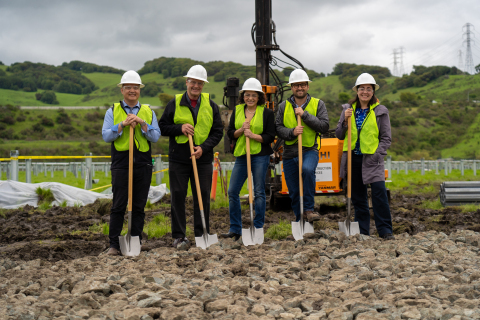 Located on approximately 21 acres, the American Canyon Solar Project will utilize horizontal single-axis tracking solar photovoltaic (PV) technology. The annual electricity generated from the project is enough to meet the consumption of 1,000 average U.S. homes per year. This is equivalent to avoiding more than 5,700 metric tons of CO₂ emissions annually which is similar to the volume of greenhouse gases emitted from 1,218 passenger vehicles driven over the course of one year1.